TangoDown has expanded its product line to include a Vickers Tactical slide stop built exclusively for Glock Gen5 pistols. In a press release, the company says that when the Gen5 Glocks hit shelves, “one of the most noticeable areas for improvement was the ambidextrous slide stop.” The VTSS-003 slide stop is billed as a solution to issues such as difficulties executing fast reloads with the OEM slide stop, or extended slide stops locking the slide back prematurely. Backed by extensive testing, this Vickers Tactical Glock Gen5 slide stop features a reshaped thumb pad with deep serrations, allowing for easy slide lock and release even in harsh conditions, and with gloves. 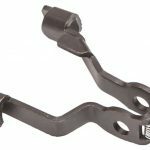 It’s precision-stamped and built out of 4130 chrome moly steel, then heat-treated, just like the OE part. The slide stop also sports a hardcoat finish for added durability. The Vickers Tactical Glock Gen5 slide stop, which has an overall length of 1.64 inches and weighs in at 0.8 ounces, fits all Glock Gen5 models released to date, including the G17, G19, G19X, G26, G34. The MSRP is $27.95. 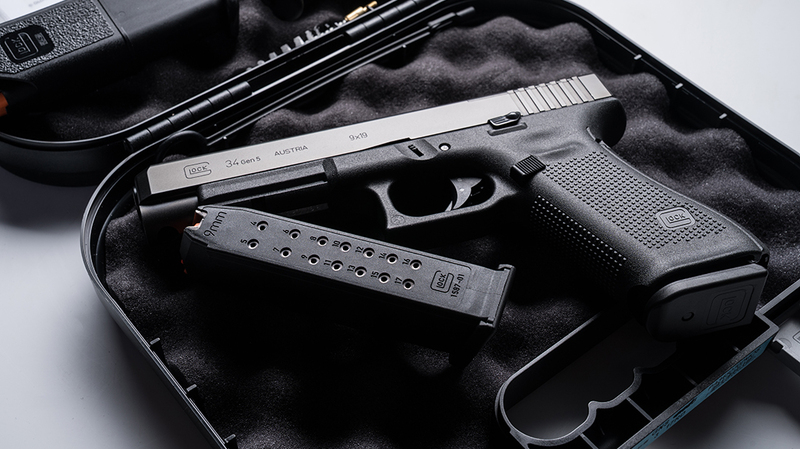 Glock unveiled the fifth generation of “perfection” back in August of 2017, starting with the G19 and G17 Gen5 models. The company followed that up in January 2018 with the addition of the G34 MOS (Modular Optic System) and G26 to the Gen5 family. The Gen5 pistols all feature a Glock Marksman Barrel, which boosts accuracy via enhanced polygonal rifling and an improved barrel crown; no finger grooves; ambidextrous slide stop levers; flared mag-well; and a nDLC finish, which is touted as being a tougher and more durable finish than seen on previous generations. For more on the Vickers Tactical VTSS-003 slide stop from TangoDown, go to tangodown.com. 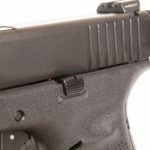 The post TangoDown Unveils Vickers Tactical Glock Gen5 Slide Stop appeared first on Personal Defense World.